Depending on their NEMA rating, they can be either installed inside - typically next to the main electrical panel, or outside near the electrical service. During a blackout, a manual transfer switch will easily and safely allow you to connect your generator to your home by switching between the "line" power source and "back-up" power. Switches like Universal Transfer Switches have more advanced features, like built-in load centers and power meters that automatically monitor circuits during a power outage. When the power goes out, you simply crank up the generator and run a single generator cord from it to the power inlet box that's connected to the transfer switch. Once the generator is running, you can choose which circuits to energize by simply flipping the switches. The best way to size a manual transfer switch is to first size your generator power cord. Take a look at your generator's receptacles and determine the amperage and plug type (NEMA) it requires. A 30-amp cord is common for most emergency portable generators, so you will need to select a 30-amp transfer switch to match it. Think about it. The more powerful your generator, the more circuits you can power. Most 5,000 watt generators can restore power to six circuits. You should get a 10-circuit switch if you have a larger generator. 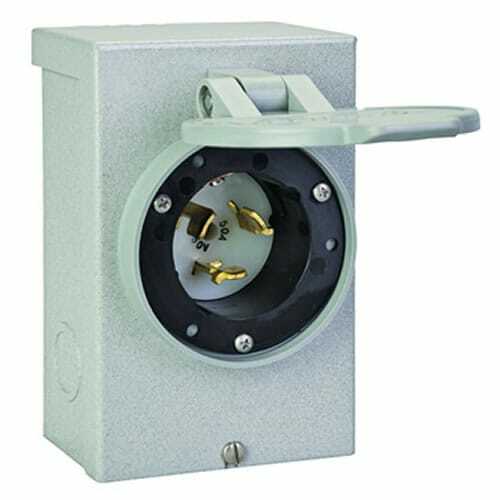 Many transfer switches come pre-wired with the circuit breakers already selected. 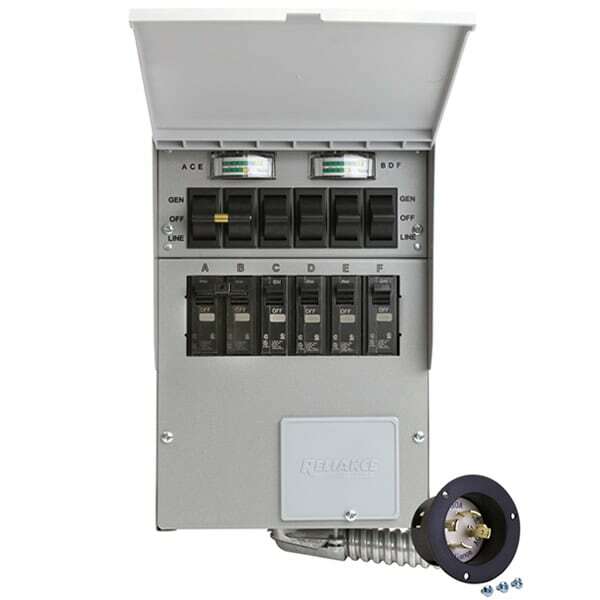 If you have a unique installation, you should purchase a transfer switch with interchangeable breakers, so you can modify it exactly to your needs. Several manual transfer switches also include built-in wattage meters that keep track of what's being powered. Without them, you can overload the system, damaging your generator and appliances. How Do I Use a Transfer Switch? No matter what type of generator or switch you have, we highly recommend consulting the owner's manuals of both for detailed instructions and safety guidelines before using. Turn off all the circuits in the transfer switch. Connect the generator and transfer switch using a gen cord. Start the generator and let it warm up outside. Flip the main breakers in the transfer switch from "Line" to "Generator" power. One at a time, turn on the circuits you want to power, ensuring the generator doesn't get overloaded. Turn off the main breakers in the transfer switch back to "Line" power. The UTS will automatically detect power and adjust the circuits as necessary. When power is restored, disconnect your generator and turn it off. Be sure to review your owner's manual thoroughly before use. If you are still unsure which manual transfer switch is the best for your generator and home, you can always give the experts a call to get the advice you need to complete your project. MANUAL TRANSFER SWITCH BUYER'S GUIDE: Learn how to pick the perfect manual transfer switch for your emergency generator. The experts at Electric Generators Direct give advice on how to determine the best manual transfer switch for your needs.